Nestling at the base of a small hillock, this pretty, detached holiday cottage enjoys a tranquil setting, with wonderful, panoramic views to the Cuillins, Macleod's Table and the Outer Hebrides. Finished to a good standard, Blossom Cottage is the perfect place in which to relax and unwind. 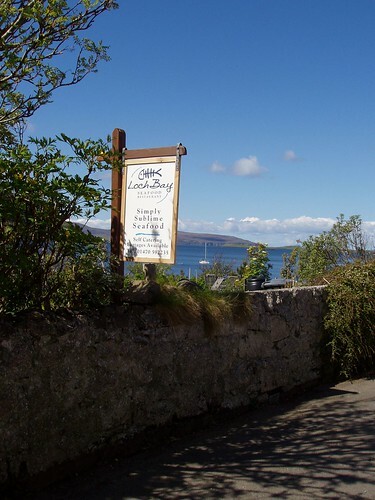 The warm and cosy accommodation is surrounded by stunning scenery, miles of rugged coastline and unspoilt sandy beaches, and is an outdoor enthusiast’s paradise. 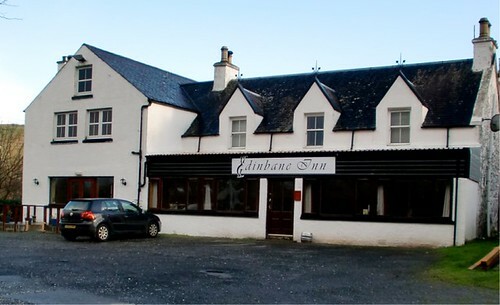 A visit to Dunvegan Castle and the Talisker Whisky Distillery is recommended along with a trip to the colourful town of Portree. Sea fishing available nearby. Shops and pubs 2 miles, restaurant 0.5 miles. All on ground floor: Living room with French doors. Dining room/kitchen. 1 double bedroom. Bathroom with shower over double bath and toilet. NSH, underfloor heating, electricity, bed linen and towels included. Freeview TV. DVD and small library. 1st comment: Wonderful little cottage, well equipped to suit every ones needs. If you want total relaxation, tranquillity this is it at its best. I was there for my birthday in March and the weather was smashing and no midges, if you are travelling with pets beware Ticks. Blossom Cottage 10 out of 10. March 2012. 2nd comment: Everything you could want for a secluded break. Cosy, comfortable. Would definitely go again. Feb 2012. 3rd comment: Blossom Cottage is one of the best holiday properties we have stayed in , it is clean and comfortable and has a great bathroom and lovely fixtures and fittings. Oct 2011. 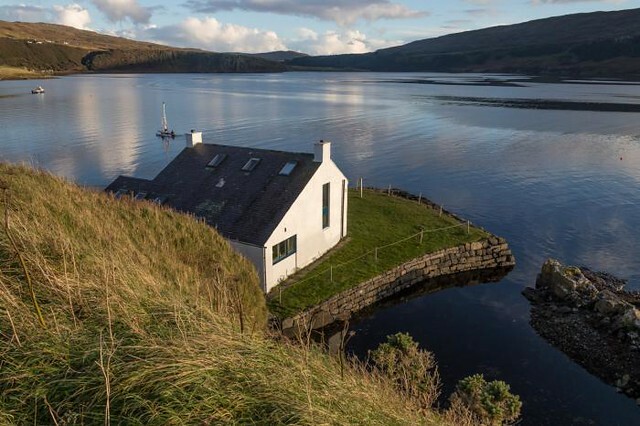 4th comment: A wonderful cottage situated in a fabulous location to explore Skye. We loved our week at Blossom Cottage and hope to go back next year. Aug 2011. 5th comment: Lovely accommodation quiet and peaceful - beautifully appointed - just remember to cook with the door open - there is a very sensitive fire alarm - and I wasn’t even cooking meat or fry ups! July 2011. 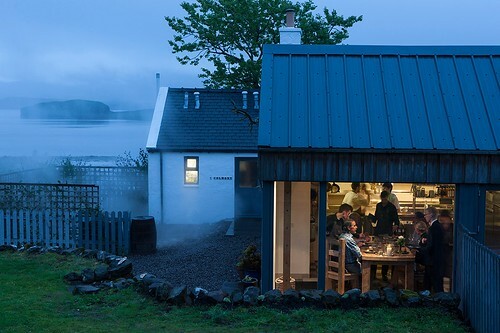 6th comment: A cosy cottage with very nice touches to it. Good, spacious kitchen and bathroom with underfloor heating. 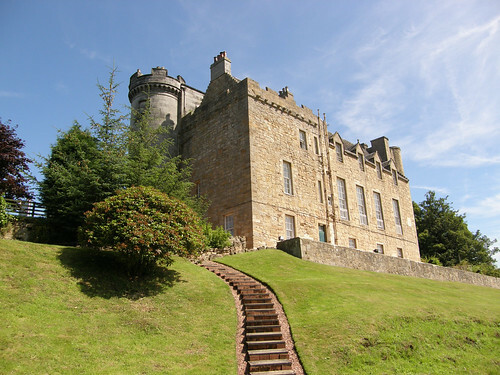 There are lots of things to see and do in the area, especially walking. July 2011. 7th comment: Cottage is fantastic. Lovely location and is truly a home from home. 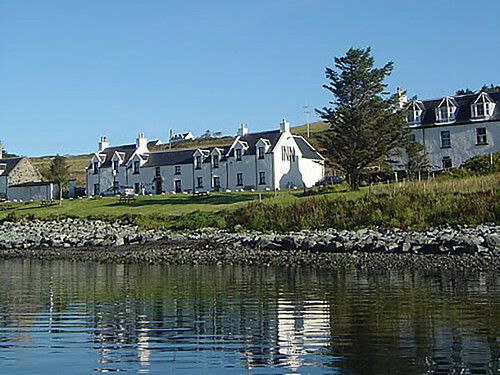 Only 20 mins from Portree and perfect for coastal walks. We did the Dunvegan coral beaches, McLeods Maidens and Neist Point to name a few. On the east coast the Kilted Rock and falls is worth a look along with the Old Man of Storr. April 2011. 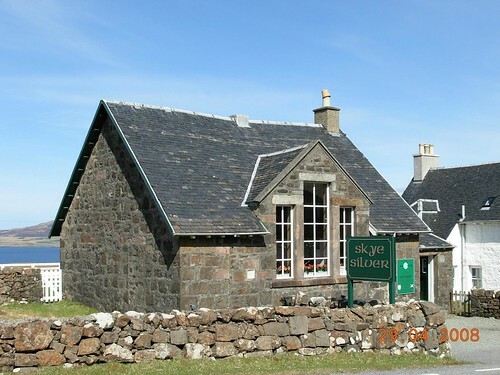 8th comment: Blossom Cottage is a wondeful secluded wee place very close to Dunvegan and the fabulous Old School Restaurant - we had a fab meal there! The cottage is furnished to a very high standard, very clean, very cosy and with a fantastic bathroom and every convenience you could need - the settes even have recliners attached! Perfect location - perfect holiday - would defo go back in a heartbeat - very very highly recommended. March 2011. 9th comment: the fluffiest towels! Lovely! March 2011. 10th comment: Wonderful little home...everything was just perfect! We especially appreciated the help of the villagers of Roag in getting our car up the hill in the snow so we could make it back home in time for Christmas. Fireplace, bathroom, kitchen were everything we hoped for and more. Dec 2010. 11th Comment The cottage was amazing. Clean, tidy, modern. Excellent location. Fantastic welcome from the owners. Nov 2010. 12th Comment This cottage was one of the best we have ever stayed in and we have been renting holiday properties for over twenty years. The standard of furnishing and decor was outstanding and the property had a real home from home feeling. The location is great and we would definitely recommend this property to other guests. Oct 2010.